The Undertaker made his long-awaited return yesterday after being, um, poisoned by his brother, Kane. 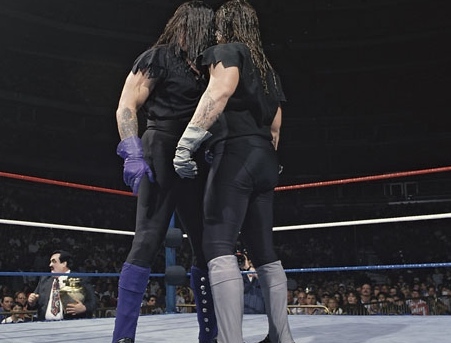 My favorite Undertaker match is a classic from Summerslam 1994: Undertaker vs. Undertaker. I’ll give you one guess who wins.